Researching Ethnic Politics in Afghanistan: Engagement or “Objectivity”? You are at:Home»News»Researching Ethnic Politics in Afghanistan: Engagement or “Objectivity”? Reports of protests in Afghanistan are often alarming. Major protests were staged in response to the accidental burning of Qurans on a United States military base, and also because a film mocking the Prophet Mohammad was released on YouTube, to give two examples. 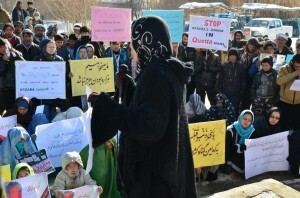 Such protests, which have been held throughout cities in Afghanistan, resulted in destruction of property, injuries, and even deaths, and underlined an Islamic fundamentalism that exists alongside the insurgency. 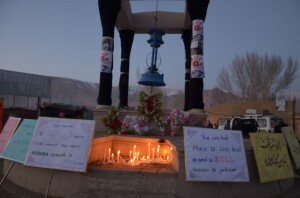 In Bamyan, a province in the central highlands of Afghanistan that serves as home to ethnic Hazaras, a different type of protest takes place with regularity. As a PhD candidate in anthropology conducting fieldwork in Bamyan, I have witnessed, and taken part in, a number of these protests. Bamyan is home to a strong network of civil society activists, and due to the relative safety and lack of insurgency in the province, they are able to work towards their goals openly. These activists intentionally fashion their actions on a Western model, citing such leaders as Martin Luther King Jr. for inspiration. Their protests are always peaceful, and always planned in advance, with permission from the local government. Hazaras, as the third largest ethnic group, are a numerous minority in Afghanistan. They are also arguably the most historically oppressed group in Afghanistan. In the late 1800s, Shah Abdur Rahman set out to bring all of Afghanistan under firm state control. One area largely outside of the state’s sphere of influence was the Hazarajat, the homeland of the Hazaras. As ethnic Shi’as, Hazaras were viewed as infidels by many Afghans and Abdur Rahman used this to his advantage. Additionally, Hazaras have very distinct Asiatic features which make them easily recognizable. As a result, the campaigns against them were particularly brutal, and Hazara activists estimate that about half the population was killed, displaced, or sold into slavery. 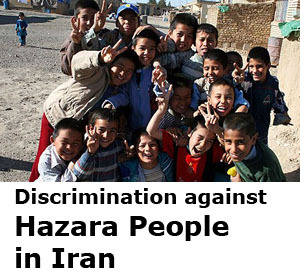 In the subsequent years, Hazaras occupied an extremely low social status. They were, with few exceptions, effectively denied access to higher education and meaningful political participation, and made up a sort of manual-laborer/servant class. They also suffered under the Taliban, as several massacres were perpetrated against them. 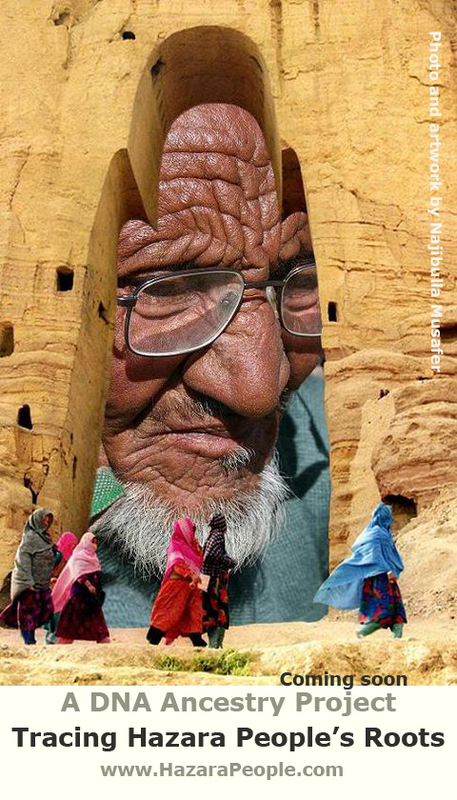 In addition, the Taliban famously destroyed the giant Buddha statues in Bamyan during their rule. Since 2001, this situation has changed drastically, with Hazaras seeking education in extremely high numbers and, as they obtain it, improving their social position. Still, they see themselves as the most disadvantaged group in Afghanistan and activists believe they must spur a civil rights movements in order to bring justice to their people. When I arrived in Bamyan in August 2012 to begin my dissertation fieldwork, there was an underlying tension revolving around the death of a 16 year old Hazara girl in the home of a Provincial Council member who happened to be a Sayed (Sayeds believe themselves to be descendants of the Prophet Mohammad and as such, a separate ethnic group). Prosecutors had closed the case, stating that there was not enough evidence to make an arrest. Activists asserted that the main suspect was the Provincial Council member, and he was using his political position to avoid prosecution. I was determined to learn as much as I could about the greater ethnic and political implications surrounding this case, so I started interviewing civil society activists, lawyers, as well as ethnic Sayeds, about the case. A protest, in which people gathered in a square holding placards and giving speeches, was held. My presence alone could be seen as an endorsement of the cause of the protestors, which I initially felt uncomfortable about, particularly as I have Sayed friends. But I decided it was important to be there, otherwise, how could I do my research? After I had been in Bamyan for several months the first of two large-scale suicide bombings happened in Quetta, Pakistan. 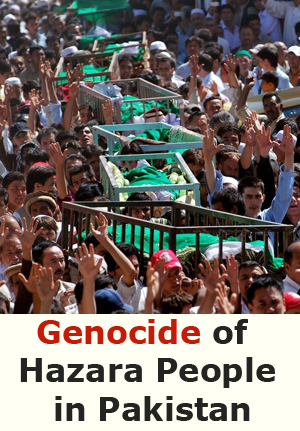 These attacks targeted Hazaras (there is a very large Hazara diaspora in Quetta that has existed for over 100 years). Several of my friends are from Quetta, and they lost friends in the bombings. A memorial protest was held, both remembering the victims and demanding action from the United Nations. This was the first (and only) time I held a placard, even though I wondered if I was crossing the line from observer to activist, and whether this line should be crossed. However, I believed the terrorist attacks in Pakistan to be a terrorist act against a group because of its religion and ethnicity, and therefore something I should stand against. Furthermore, the response of the Hazaras in Afghanistan was a peaceful juxtaposition. Still, I felt some misgivings. My placard said “We want the United Nations to take practical steps against the genocide of Hazaras in Pakistan”. 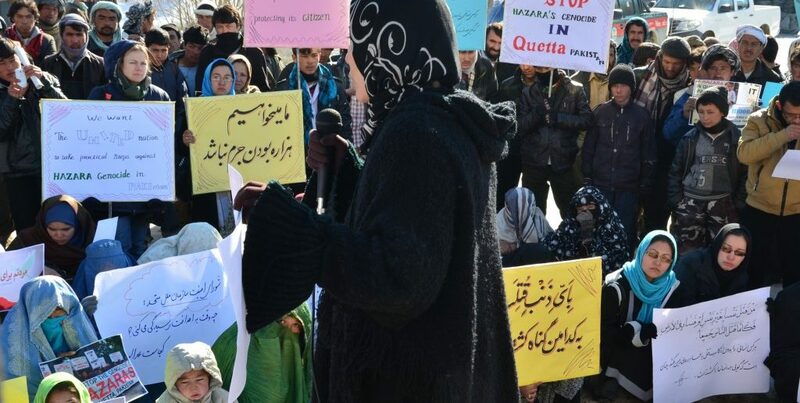 One of the main points the protestors make is that there is an ongoing genocide against Hazaras, which has been continuous since the time of Abdur Rahman until today. I am not sure whether I agree with their use of the word genocide. Targeted killing, definitely; ethnic cleansing, surely. 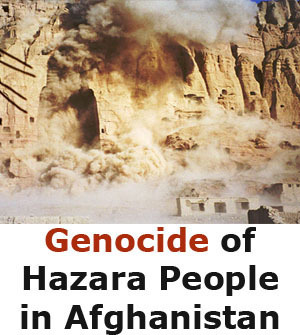 Of course, the activists take the official UN definition of genocide and show how it applies to what happens to Hazaras, but still, I wonder, is it productive to demand that what is happening to Hazaras be recognized as genocide? The numbers killed today are low compared to other atrocities committed in other parts of the world. Would these demands for recognition of genocide be taken seriously? I wondered if I should try to start a conversation about this with the activists, informants who were quickly becoming friends. In the end, however, I realized that this is their battle for justice. I am learning from them and about them as I watch, and participate in, their work as activists. 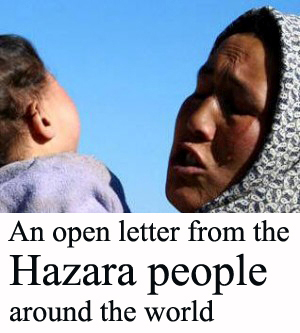 I help them when I can with translations and with spreading information about Hazaras. But, when it comes to such important core ideas as this, they must make their own way. It is hard not to feel involved, and at some point I surely crossed from observer to engaged researcher. 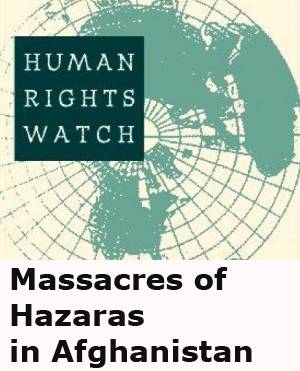 I could see no reason not to mourn the many Hazaras killed in the Afshar massacre during the civil war in Afghanistan when the Hazara activists held a memorial protest, even if other ethnic groups have also surely had their own Afshar tragedy. I also stood with them when they demanded the government provide better services such as electricity and paved roads, development of which Bamyan residents believe have been largely overlooked by the central government. 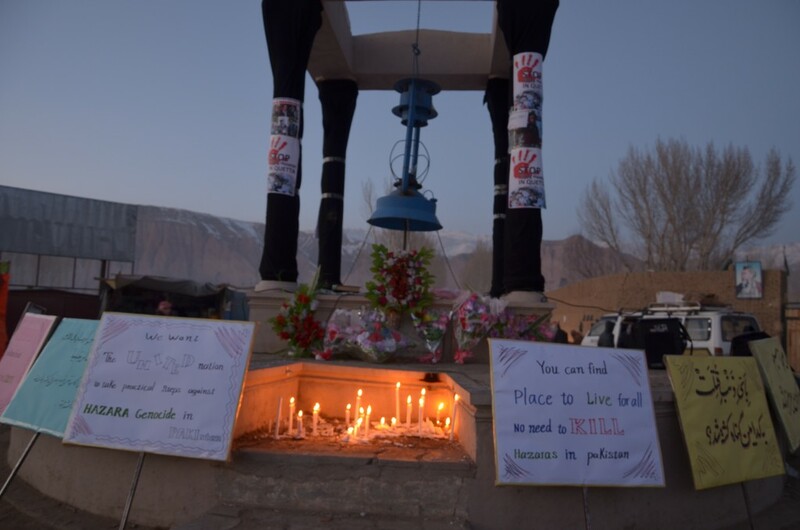 And, when the second bombing happened in Quetta, I worked with the activists in contacting news agencies, trying to spread the word that these were not only Shi’as, as many reports initially referred to them, but Hazaras, an ethnicity that has suffered persecution both because of ethnic and religious identity. As an anthropologist working with civil society activists, I was initially worried about objectivity, about how I might look to non-Hazara community members. However, the activists gave me so much of their time, I came to the conclusion that I was obligated to support them when my beliefs were in line with theirs (which was, it so happens, usually the case). I also hope to continue to write about Hazaras, to spread their story, what they have suffered and still suffer, to a larger audience. This does not mean that I will hide what might be perceived as aspects of their story which might reflect negatively upon them, depending on what I find out in my research. But, I believe that these people have a story to tell, and they wish for me to tell it, from their point of view. I plan to do so to the best of my ability. Thank you so much for writing this article and sharing your observation about the most deprived humans who lives in the Central part of Afghanistan. Am sure you are continuing your support with expressing the truth.